In July 1998 China Petrochemical Corporation laid the foundation for what was to become the Sinopec Group. This state-owned enterprise has its headquarters in Beijing, and is authorized as an investment organization by the Chinese government, which holds a majority share in the company. The Sinopec Group focuses on multiple business initiatives including the following: investment management, industrial investment; storage, transportation, exploration and production; utilization of natural gas and oil; wholesale of gasoline, diesel and kerosene; refining of oil; transportation and storage of petrochemicals, R&D related to information, technology and sourcing of alternative energy; import/export of technologies and commodities for the Sinopec Group. In 2011, Forbes ranked this company as the fifth largest petrochemical company in the world by revenue. The corporate governance structure features full integration of responsibilities and power, and a market-driven management system. Executives are selected to key positions in areas like equity holding, equity sharing, asset management and decision-making. China Petroleum and Chemical Corporation – Sinopec Corporation – is controlled by the Sinopec Group. The company is managed by an internal control system. The Sinopec Group regularly conducts systematic risk assessments and adopts risk management strategies to formulate workable solutions. The corporate governance structure features shareholder meetings supervisory committees, a board of directors as well as a senior management team. The board of directors are affiliated with 3 special committees: the performance evaluation committee, the audit committee and remuneration committee, and the strategic committee. The Sinopec Group supplies household products and commercial products. Household products include oil products, fuel card, service station, lubricants and LPG. Oil products include automotive gasoline and diesel; fuel cards offer rewards programs, filling ease and are widely accepted across China. 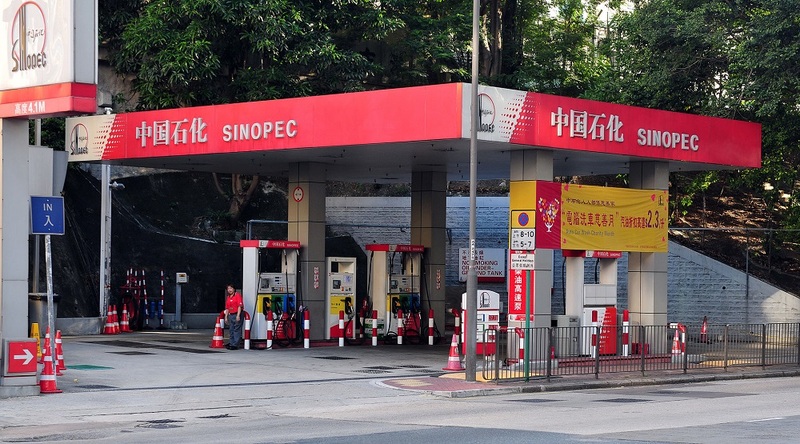 The Sinopec Group also offers more service stations across China than any other nationwide company (fuel products and non-fuel products are provided); lubricants include automotive lubricants, synthetic lubricants, industrial lubricants, greases and marine lubricants; LPG (liquefied petroleum gas) consists of pentylene, pentane, butylene, butane, propylene and propane. Commercial products include chemical products, lubricants, catalysts, asphalt and natural gas. Green energy and low carbon emissions are integral components of the production processes at the Sinopec Group. The company devotes significant attention to the protection of the environment, by adopting a clean management system which is engendered in the production process, right through to the consumption process. To this end, the group strives for blue skies, green land, clear waters and green growth. Among the other major green operation initiatives are the following: the development of circular economies, clean production and pollution initiatives, the production of clean products, reductions in nitrous oxide, carbon dioxide, hydrocarbons, treatment and recycling of waste water, and the cleansing of industrial residues.